 Halloween sangria substitutes beer for wine (photo courtesy Sid Wainer). What’s the difference between apple juice and apple cider? See the answer below (photo courtesy Red Jacket Orchards). Orange bitters are sold next to the Angostura bitters in most supermarkets. Or, make your own with this recipe from (photo by Red Jacket Orchards). Here’s something different for Halloween: orange sangria. 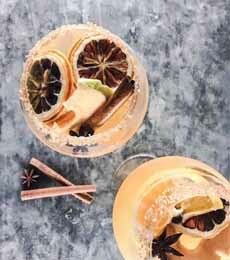 In this recipe, apple cider substitutes for the wine, and wheat beer substitutes for the club soda or sparkling water. What’s the difference between apple cider and apple juice? The answer is below. 2. MAKE the rim on the glasses. Fill a shallow bowl with water, and another with the smoked sugar. Dip the rim of the glass 1/4 inch into the water, then twist in the sugar until coated. 3. POUR the beer into the pitcher right before serving and stir once, gently, to combine. Add ice to the rimmed glasses, pour in the sangria and serve. Since Prohibition, which began in the U.S. (1920 – 1933), “cider” has referred to the unfermented, unpasteurized apple juice. If cider is made from another fruit, it must be called, e.g., pear cider. “Hard cider” is used to indicate the alcoholic beverage. In the U.K. it is the opposite, with “cider” indicating the alcoholic drink, for which special cider apples are used. Pear cider is called perry. Hard cider is a fermented alcoholic beverage made from the unfiltered juice of apples. The alcohol content varies from a low 1.2% ABV‡ to 8.5% or higher—some imported ciders can be up to 12% ABV, an average level for table wines. It does not need to be refrigerated until the container is opened. 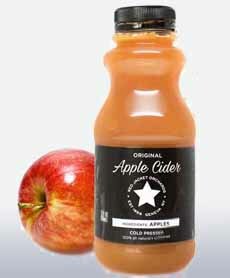 Fresh apple cider is raw apple juice, typically unfiltered. Thus, it is cloudy from the remnants of apple pulp. It is also typically more flavorful than apple juice—although of course, the particular blend of apples used in either has a big impact on the taste. It needs to be refrigerated. Apple juice has been filtered to remove pulp solids, then pasteurized for longer shelf life. It does not need to be refrigerated until the container is opened. *Don’t hesitate to buy a bottle of orange bitters. It perks up every drink, including mocktails, iced tea, soft drinks and club soda. 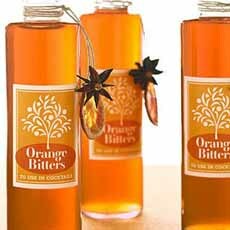 If a drink is too sweet or needs something extra, a drop or two of orange bitters does the trick. The bitters provide an extra note of complexity: deep, citrusy, spicy flavor. Here’s a recipe to make your own. †You can buy smoked sugar on Amazon, or make your own by blending hickory smoke powder with coarse sugar (decorator’s sugar, sanding sugar). Other options include orange decorator’s sugar, in many stores for the Halloween season. ‡Alcohol by volume: the percent of alcohol in the bottled spirit, wine or beer.